I always find it hard to believe that a series could still be going strong over 15+ books, but the In Death series is one of them. 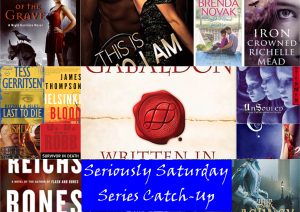 While my goal isn’t to get caught up on this series this year (since there are 36 books out), I wanted to at least make sure that I finished up a couple more. The thing I liked about Visions in Death was that you got to see a more human side of Eve – early on in the series, she seems so cold and mechanical, but as each book is released, you see who she really is. The mystery in this installment was intriguing, I only had it partially figured out by the time it was revealed in the book but there wasn’t anything earth-shattering around it – the whole taking the eyes from the victim was kinda cool (in a freaky way though). Lots of quotes that I enjoyed and laughed over – one of my favorites being: “I’m late,” she snapped before Summerset could speak. “But here’s the thing, I’m not always late, but you’re always ugly. Who’s got the real problem?” (the whole Eve/Summerset dynamic is one of my favorite things about the series). 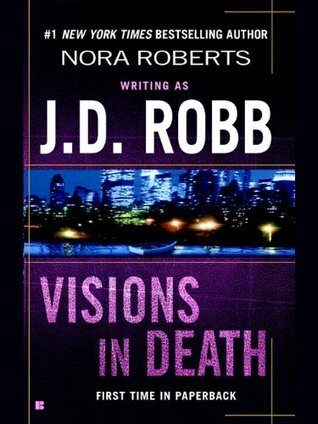 Overall, I gave this entry in the series 3.5 stars and will be continuing on. Since I started this series and he was introduced, I wanted to read Sam’s story – for some reason, he has been the most intriguing (aside from Sally and the FBI agents) of all the Dom’s in the series. Don’t get me wrong, I liked the other guys, but there is something about an author that can write a convincing sadist (and make me like him) that wants happy. And Ms Sinclair didn’t let me down. I thought she did a great job tying up the story-arc from the previous 3 books of a human trafficking ring and showed people who have been involved try to get back to their normal life. I also thought that she made an interesting story with having secondary characters who weren’t aware of Linda’s preferences and when finding out, their reaction – which I think would be more common in society, than people just accepting. I gave This Is Who I Am 4 stars and can’t wait for the next book in the series to come out. I’m kind of disappointed that I didn’t hold off reading this book now, since there is only going to be 1 more book in the series, after the authors death a few months ago. While the third book in the series was like a 180 in the character of Kari Vaara, this book started to turn him back into the cop that I liked in the first 2 books. While it was still dark in places, so much more of the book was devoted to Kari getting his life back to how it was. While I wanted to slap his wife upside the head a few times, for the most part – it was a solid read. 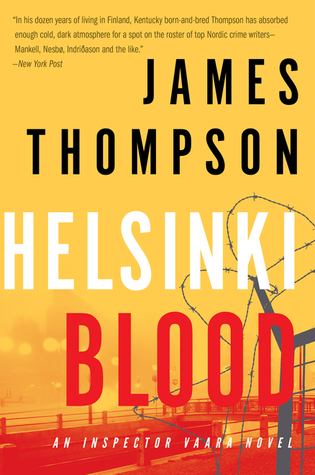 Unfortunately, the wait for the release of book 5 is dwindling down and then there will be no more Kari 😦 I gave Helsinki Blood 3.5, but rounded up to 4 on Goodreads. After the disappointment of Spider Bones, I was leery of how Flash and Bones would turn out – I was thinking that the series may have jumped the shark and while I didn’t love F&B it was a def. improvement. But it is on my monitor and follow pile – just going to be taking it one book at a time. you could tell that the author felt in her element with the NASCAR descriptions – while personally, i’m not a fan, you could tell that she had done her research. I liked the mystery around this one, it reminded me more of the earlier books in the series – and it had Reichs trade-mark gruesome deaths of secondary characters. 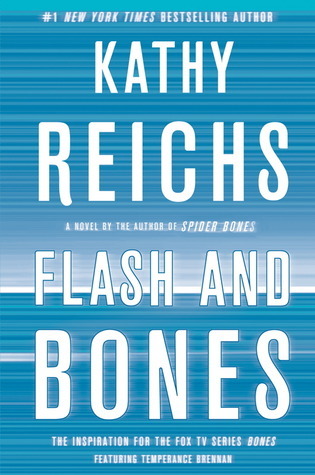 I gave Flash and Bones 3.5 stars, and will continue the series, but in no rush to do so.